The European leg of the Shell Eco-marathon is coming to the UK for the first time in 2016, with the race taking place at Queen Elizabeth Olympic Park from 30 June to 3 July. Teams of students will compete to see how far their ultra-efficient vehicles can travel on just one litre of fuel. When the competition started in 1985, the winning entry would only have made it from London to Rotterdam. Today, the record stands at 3,771km – or the distance between London and Rome and back again. The launch of the event saw a number of vehicles designed by students from University College London displayed on Westminster Bridge. 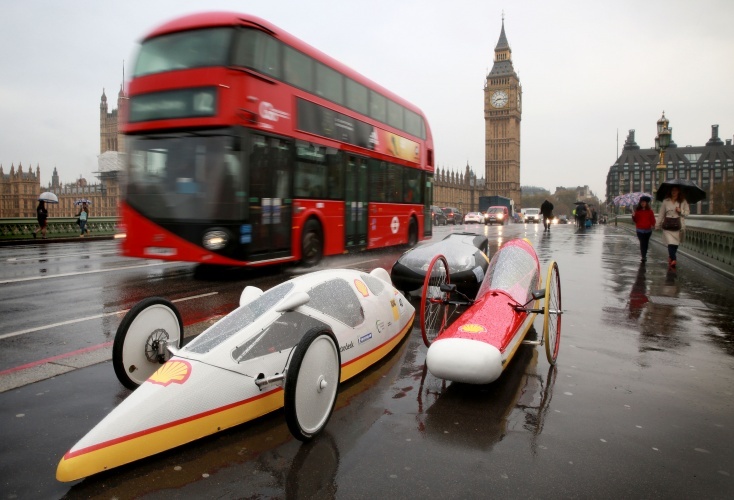 “For 30 years, Shell Eco-marathon has helped inspire the world’s brightest young minds to design and build new vehicle technologies,” said Erik Bonino, chairman of Shell UK. The launch of the event saw a number of vehicles designed by students from University College London (UCL) displayed on Westminster Bridge. A record number of participants are expected, and 18 student teams from the UK have registered their interest. “Finding solutions to meet future energy and mobility demands is at the heart of what we do as mechanical engineers, however not all of us have the chance to apply our knowledge before we begin our careers,” said UCL student Douglas Stridsberg.